Chile has become South America’s “talent magnet”. According to official figures, applications for temporary work visas increased by 381% between 2005 and 2016 while, in the case of visas subject to a work contract, the increase reached 206%. In general terms, five types of visa are issued by Chile: Tourist Visa, Visa Subject to Work Contract, Temporary Residence Visa, Student Visa and Permanent Residence. In addition, a fast-track Visa Tech program is available for overseas professionals and technicians working for technology companies. These visas are issued to overseas citizens who come to live in Chile due to a work contract. They allow the holder to work exclusively for the employer with whom the contract was signed. They are issued for a maximum period of two years and can be extended for additional periods of two years. They expire immediately if the contract is terminated by either of the parties. These visas must be obtained from the Chilean Consulate in the country of origin. Overseas citizens who have resided in Chile for two years under a visa of this type may apply for permanent residence. 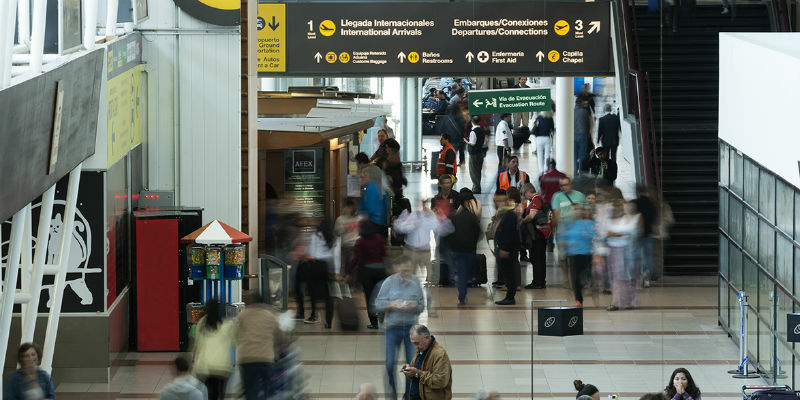 These visas are issued to overseas citizens who have family ties with Chile or interests in the country and whose residence is considered useful or advantageous. In general terms, they allow the holder to undertake any activity, subject only to those restrictions established by law. These visas must be obtained from the Chilean Consulate in the country of origin. They are issued for a period of up to one year and can be renewed only for one further year after which the holder who wishes to remain in the country must apply for permanent residence. The cost of each of the different types of visa depends on international reciprocity arrangements and is, therefore, similar to what a Chilean would pay for a visa of similar characteristics in the applicant’s country of origin. A table of the cost of visas according to an applicant’s country of origin can be found on the website of the Chilean Foreign Ministry at http://bit.ly/2gZviU7. Approximately how long does it take to obtain a visa or for an application to be rejected? The government’s Department for Foreign Citizens and Migration is not legally obliged to grant or refuse a visa within a set period. However, it normally takes between approximately three and four months regardless of the type of visa. The Visa Tech program is a fast-track process which allows professionals in the technology sector to obtain a Work Visa within a maximum period of 15 working days, thereby facilitating their hiring and promoting growth and the incorporation of specialized human capital in both large and small ICT companies. For further information, see 10 Key Questions about Visa Tech. 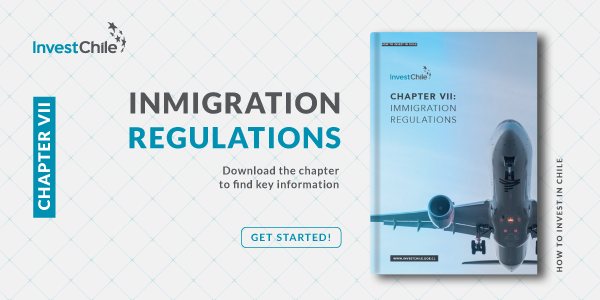 For further information about visas, download our Investor's Guide: visas and foreign citizens chapter.